The year was 1999. Most of my friends at the time were in their late teens. I was twenty. We were a group obsessed with music, we all knew we were destined for a future in the auditory arts. A couple are still involved in making music; most of us gave it up a decade or more ago. We all had a faith in God, though I think that's largely been shaken at this point. 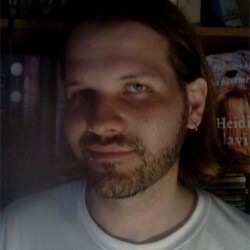 Most of the time we hung out, we discussed music, movies, books, and theology. That year, we fell under the tutelage of a much older mentor. He challenged us in many ways. He inspired us to think outside of the conventions of faith and brotherhood. We loved him and we believed he loved us. He ended up being a creeper in the end, but that's a story for another time. Every time my friends and I discussed lit, our mentor would chime in with his favorite author: Harold Bell Wright. None of us had heard of him. Wright was an author of a different time who'd largely been left behind. Our mentor swore by the brilliance and majesty ofThe Shepherd of the Hills. One by one, my friends read it and brought their opinions of the book back, and before long entire nights were spent discussing The Shepherd of the Hills. I planned on reading it back then, but life took me slightly on the outside of the group and I hadn't returned to the idea in the two decades since. 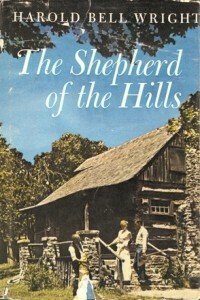 The Shepherd of the Hills was a widely successful book in its day: 1907. I can see why. It’s a gripping tale that toes some of the era’s conventions without stepping over any lines. The Shepherd of the Hills features the same kind of blend of mystery and adventure that made Mark Twain what he was, but in place of Twain’s signature witticism, Wright inserts spirituality. And this spirituality is interesting, because on one hand it feels very orthodox Christian, but on the other it is full of a mysticism that I would've imagined not accepted by people of faith at the time. Likewise, the novel has progressive thoughts regarding marriage, gender roles, and other things while at the same time remaining firmly rooted in a very conservative soil. The Shepherd of the Hills is in part an adventure story, but it is just as much a love letter. It is a love letter to the Ozark hills of Missouri and an allegory for the love letter of Jesus. Surprisingly, considering that the author could've written a very cloying Jesus-loves-you tale without alienating his audience, Wright was cautious in laying the religious allegory on too thick. Even so, I thought the tale dragged on a bit too long for my tastes. The longer it goes, the more the plot is replaced with introspection, and the more Wright’s spiritually intriguing story is pushed aside for a traditional sermon. I think Harold Bell Wright’s story is still read today because it is just different enough and it is mechanically sound, but I do have doubts that it’ll persevere through the next generation or two. There are other authors that I believe better captured the time and they will be the ones who will be remembered in the future. I think that if I had I read this novel in 1999, along with most of my friends, I probably would’ve “agreed” with our mentor that it was a fabulous book. That’s what you do when you’re young and under the influence of another. I might've even enjoyed it some, but in reality, I wouldn't have loved it all that much. Twenty years late to the party, I can only say that it was a fine read, certainly a good example of the twentieth century’s first decade, but it didn’t grab me the same way it grabbed him. For my former mentor, this was the book to end all books. I’m sure he had his personal reasons why this book touched him so and they probably had to do with the person he was at the moment he first read it. That’s the subjectiveness of reading. Our impression of the written word is a greater reflection of the person we are at the moment we read it than of the work itself. So all that said, if you read my review because you wanted his opinion, then by all means this a five-star book.